On Wednesday, Oct. 3, the University of Nebraska Board of Regents approved the program statement for a proposed 43,700 square foot addition to Mammel Hall, home of the University of Nebraska at Omaha (UNO) College of Business Administration. Construction on the privately-funded, $17 million addition is expected to begin Sept. 2019 and be completed by April 2021, pending Board of Regents approval. The program statement calls the project a top facilities development priority of UNO. The building addition will provide additional space for classrooms; faculty offices; research instructional laboratories; student individual and group study space; and a multipurpose room that can seat 180 people. The addition will extend north from the west end of the existing building, minimizing disruption to the college during construction. College of Business Administration Dean Louis Pol said the new space will not only address current needs, but also prepare the college for long-term success and future program growth. Chancellor Jeffrey P. Gold, M.D., said the philanthropic support behind the addition speaks to the value UNO’s College of Business Administration offers to the greater community. “This investment by our community is a vote of confidence in the leading role UNO will continue to play in developing Nebraska’s skilled workforce,” Chancellor Gold said. 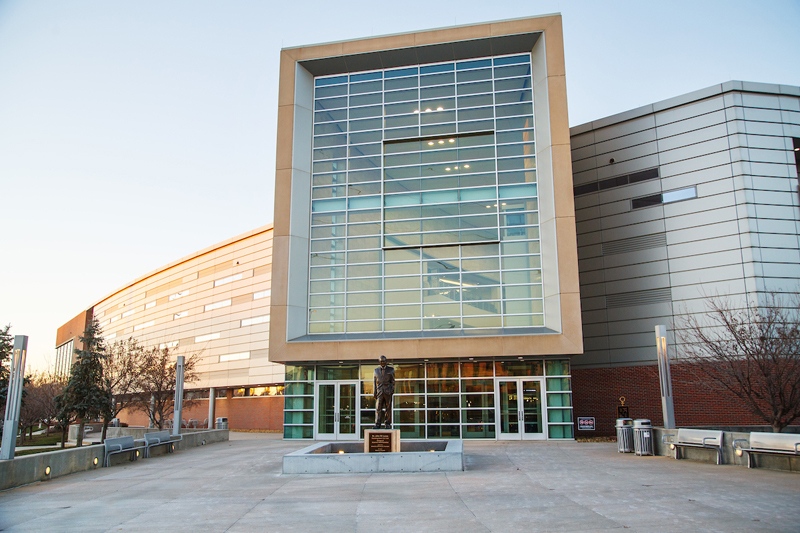 Opened in fall 2010 and made possible by the largest single donation in UNO’s history, Mammel Hall was the first LEED (Leadership in Energy and Environmental Design) gold-certified academic building in the state of Nebraska. The addition will be designed and constructed to be LEED Certifiable in compliance with the sustainability requirements of the NU Board of Regents.